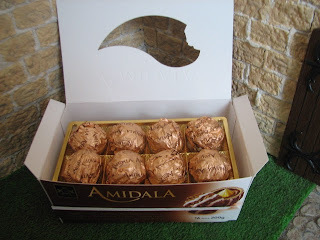 Meint ihr das sind gar keine Schokokugeln, sondern Eier und die kleinen Süßen schlüpfen da raus? Do you think that's no chocolate balls but eggs and the sweet little slip out of there? Meint ihr ich sollte noch so eine Packung Schokolade kaufen, damit noch mehr von den Zwergen schlüfen? Do you think I should buy another pack of this chocolate so that more of the dwarves slip out? Oh my! 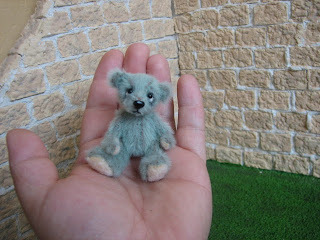 I LOVE the box with teeny bears! Can I get a box like that please? ;) FANTASTIC Melli! Yes, yes! buy another chocolate box!!!! How exciting I think they are hatching out of the chocolates. Just like chickens hatch out of an egg. Buy MORE chocolates.. We love those little bears. 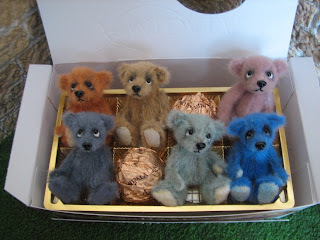 oooh, I want a box of those chocolate eggs too :-) The little bears are so cute!!! Also ich arbeite ja im Handel also ich habe solche Schachteln noch nie gesehen. Wo gibt es sie denn ? Ich will ganz viele davon, aufmachen und hin stellen. Dann etwas warten und jaaaaaa da sind sie. Das wäre ja so schöööönnnnnn. Aber wie gesagt bei uns gibt es sie ja leider nicht. Aber süß sind sie ja alle und man kann sie so vernaschen die kleinen Knutschkugeln. Mach weiter so Melli und höre nicht auf, du bist genial. 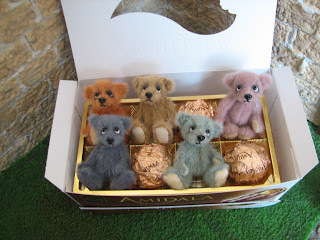 I love chocolate, but I love the teddy bear box, much more, it is adorable. 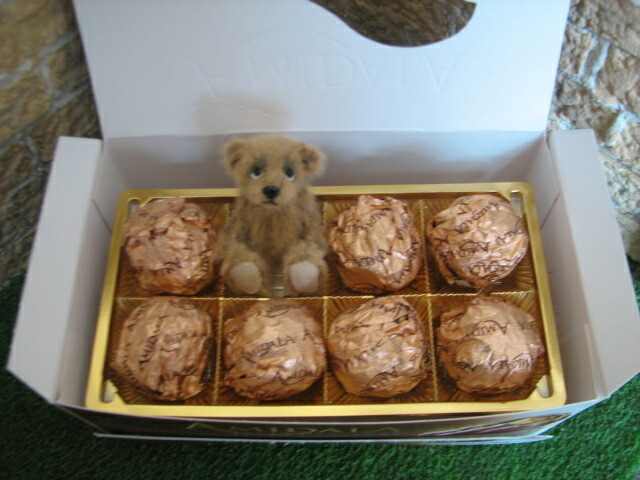 YES, please Melli, just buy one other box, so more of those little ones can pop up :D!! I like those sweeties very much, they are so adorable with their innocent angelic faces ;)! 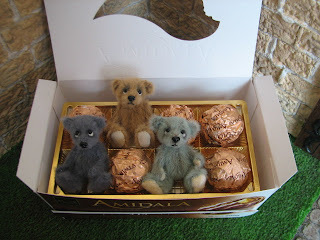 But you forget to mention one thing: where are the chocolate balls?? ;D! Da muss ich gleich morgen mal im Supermarkt nachschauen. Vielleicht kann ich ja auch solch eine tolle Schachtel Schoki ergattern. 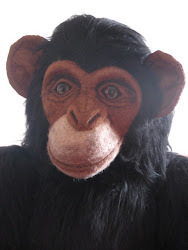 Ich meine, ich esse ja gerne Schoki, aber vielleicht.....wenn ich sie nicht esse.....vielleicht schlüpfen dann auch so süße kleine Wesen. Und Figurfreundlicher sind sie obendrein. Teneri e dolci i tuoi orsacchiotti, meglio del cioccolato! I think we would all like to know where we can buy a box of chocolates that will turn into adorable tiny teddies. They are gorgeous. Die Mini-Bären sind der Hammer! 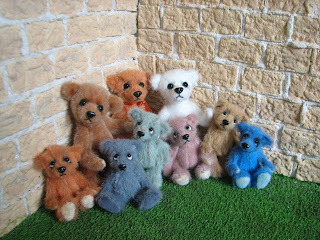 These bears are all so cute. I like everyone else wonder where I can get my hands on one of these boxes :))) You should for sure buy lots more of these chocolates. I nearly missed this lovely post. 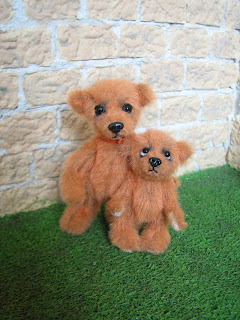 The little teddies are adorable. 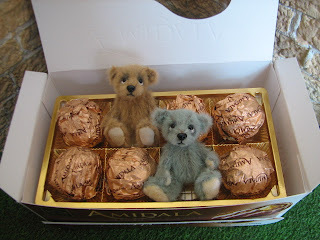 I knew about Ferrero Rocher chocolates that can be shrunk but chocolates that turn in to teddies? This is good news.